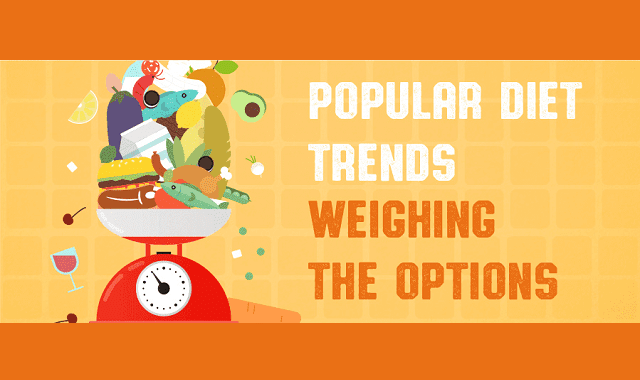 Popular Diet Trends Weighing The Options #Infographic ~ Visualistan '+g+"
Trendy diets boast fast weight loss and long-term health benefits, but are they just a passing fad? We've put 7 popular diet to the test by asking a nutritionist to rate them based on a number of criteria, including effectiveness and sustainability. Hopefully, this will help you make a better decision about your future eating habits!